The mysterious case of the missing penguin that disappeared from the garden of a café in Vienna, Austria, two years ago has had a happy ending after the flightless bird suddenly re-appeared earlier this month. 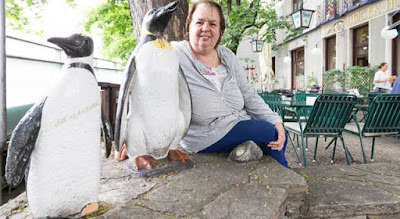 The stone baby penguin has been returned to the larger ‘adult’ penguin it had been standing next to for decades in the garden of Café Rüdigerhof with the note ‘Mum, I’m back’. The supposed thief offered no explanation, however, as to why the penguin was now missing its two feet. 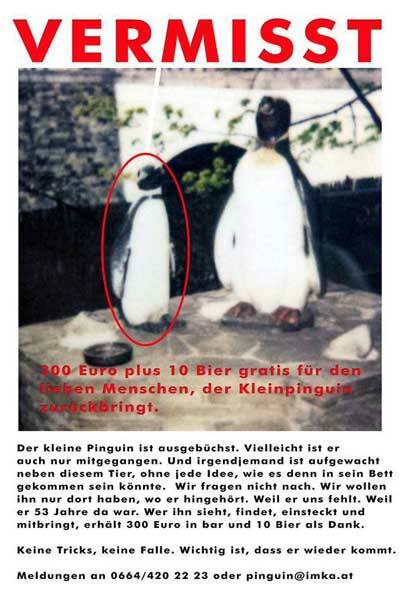 When the model had been taken from the cafe’s beer garden, devastated owner Renate Halper even put out a reward of €300 and ten large beers for whomever found the baby bird. Despite the generous reward, the bird, which had been part of the cafe’s garden since Halper was a baby, had stayed missing until this month when it was discovered again behind the cafe by Halper’s son. “Perhaps the thief felt guilty?” Halper said. 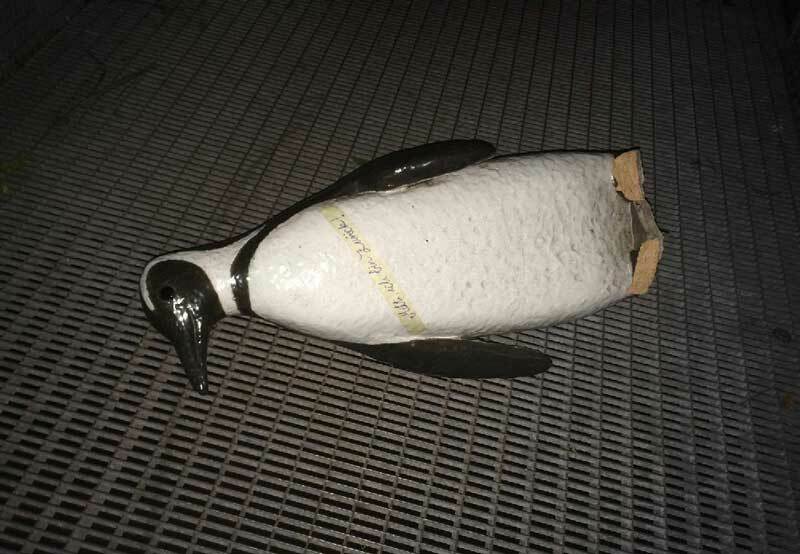 After getting some new feet from a stonemason, the penguin will once again return to the garden, although Halper remains none-the-wiser about where it has been for two years nor who took it.